Whether you’re into sports, the arts, nature or volunteering, there’s plenty to do in Goomalling for young and old and everyone in between. Our local clubs and organisations always welcome visitors and new members, so check the community directory below to see what suits you. 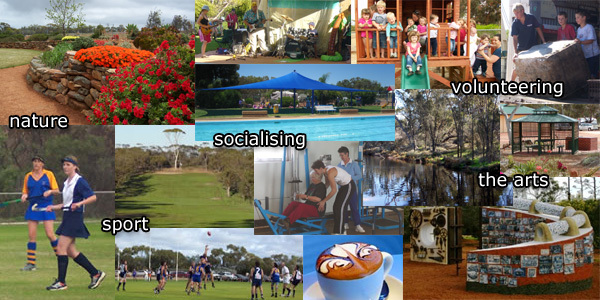 If you have a special event coming up, check out venues in Goomalling. For more information, contact the Shire of Goomalling on (08) 9629 1101 or get in touch with the Goomalling Community Resource Centre which also has a wealth of information about our community. Local clubs: to include information here, please email web@goomalling.wa.gov.au or ring 9629 1101.